Grand Central Publishing, 9781538747407, 176pp. 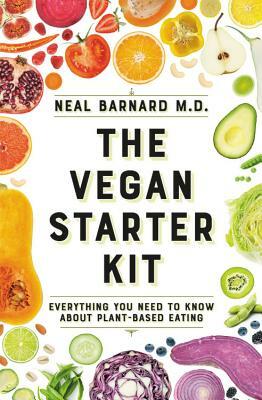 Neal D. Barnard, MD, FACC, is perhaps the world's most respected authority on vegan diets. He is a faculty member of the George Washington University School of Medicine and President of the Physicians Committee for Responsible Medicine. Dr. Barnard is editor-in-chief of the Nutrition Guide for Clinicians, a nutrition textbook given to all second-year medical students in the U.S. He is also editor of Good Medicine, a magazine with a circulation of 150,000. He is the New York Times bestselling author of Dr. Neal Barnard's Program for Reversing Diabetes and The 21-Day Weight-Loss Kickstart, among many others. Dr. Barnard makes a compelling case as to why all of us should "test drive" a vegan diet. His guidebook is straightforward and simple to follow...as easy to digest as a plant-based lifestyle. All in all, a delicious read.